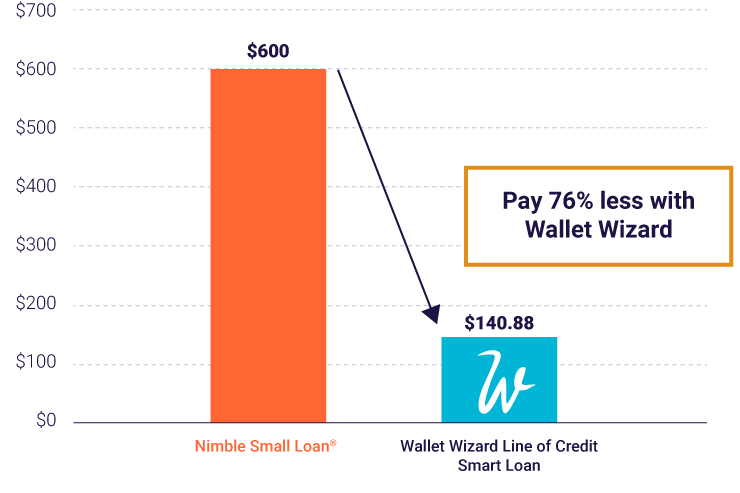 Wallet Wizard is up to 70% cheaper than others! Many lenders offer cash loans up to $5000. The difference with Wallet Wizard is that besides awesome features like a simple application process, quick decisions and fast access to cash, you get better value than with others. Here’s a direct comparison with one of our competitors for the cost (fees, charges and interest) of a $1500 loan repaid over a period of 9 fortnights. With Wallet Wizard you save more than $450! With our simple approach you always know what you are being charged. Other lenders charge large upfront establishment fees and monthly fees calculated as a percentage of the original amount borrowed. With Wallet Wizard you only pay interest on the amount outstanding.